Spectacular Shady Canyon custom estate resting on a serene hillside lot evoking the beautiful terrain and design of Santa Barbara and Montecito. Impeccably crafted by noted builder, David Close, 51 Copper Creek sets a new standard for quality, craftsmanship, and design in one of the most prestigious communities coastal Orange County has to offer. Comprised of four spacious bedrooms, a private office, five baths, and a pristine indoor/outdoor floor plan, this home seamlessly weaves together luxury, relaxation, and utmost comfort. The spacious main level offers an eye popping entry area with custom tile work, stunning arched corridor, herringbone floors &tiles, designer finishes, two great rooms with soaring beamed ceilings and multiple French doors opening to countryside views, dining room, and an outstanding gourmet kitchen with marble countertops, floating shelves, Dacor appliances, impressive hardware, and a private wine cellar. The balance of the first level includes two guest suites, a library/office with private courtyard, and a large covered outdoor dining area. The exquisite second level includes a fantastic master suite with deck & serene views, large closet and spa like bath, along with a separate guest suite. The stately grounds provide luscious landscaping including mature trees, exterior lighting, multiple patios, and a plentiful grass area, perfect for entertaining. Don't miss out on this opportunity to enjoy one of the finest estates Shady Canyon has to offer! 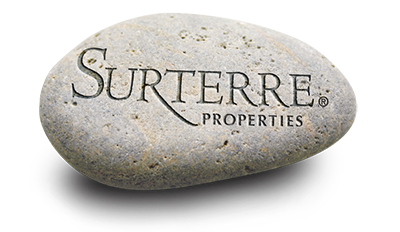 Listing sold by Rick Langevin from Surterre Properties Inc.